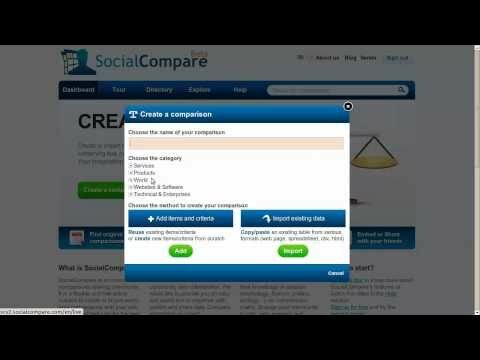 Below are some terms explained to better understand SocialCompare. If you do not find the answer you are looking for, please do not hesitate to contact us via our contact form or on Twitter. A matrix table containing several items to be compared versus a specific list of criteria. 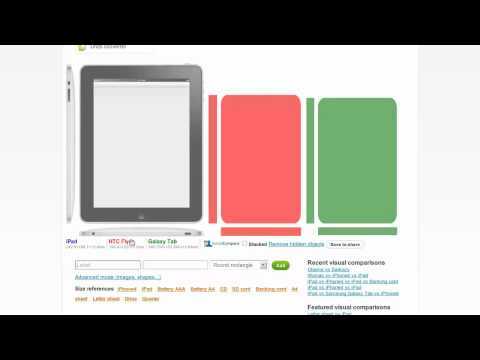 A comparison is a view, a set of criteria and items that organizes nicely the information. An object, a service, a person, a product... to compare. Items are by default the columns of the comparison matrix. It's better to try to reuse existing items, to make maintenance easier, since modifying a value for an item will modify all comparisons that reuse the same item. A feature description with a specific type. Criteria are by default the lines of the comparison matrix. Only exact same criteria can be compared together, for this reason it is better to use official criteria, to ensure your values could be compared with other items. The value associated to a specific item and criteria. It is the content of the matrix cell. Detailed information could be attached to this value. Some descriptive text that gives more precisions about a value. 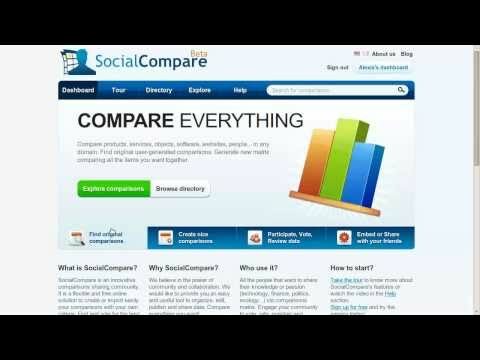 While browsing SocialCompare you can add items to your live comparison using the "Add to compare" button, then press the compare button to see all your select items as a comparison matrix.